Memi (Meir) De-Shalit was born in Kovna, Lithuania, on December 9, 1921, the son of Moshe De-Shalit and his wife Ada nee Shneurson. Having embraced the Zionist ideals at an early stage, the family immigrated to the land of Israel in 1925. Memi grew up in Jerusalem and then he attended the agricultural high school in Pardes Hannah. Those were the years of the Arab revolt; Memi joined the Hagannah and served as a guard and instructor. In 1941 he was drafted to the British Army. Having graduated the officers school, he saw action during WW2 as an officer with the Jewish Infantry Brigade Group. Following the end of WW2, while still an officer with the Jewish Brigade, he was active in assisting Holocaust survivors and organizing their immigration from Europe to Israel. When Israel’s War of Independence started (1948) Memi joined the Israel Defense Forces (IDF) and was instrumental in organizing former Hagannah members in combatant units that defended the southern districts of Tel Aviv. During the armistice negotiations in Rhodes, when the need arose for establishing a liaison unit with the United Nations, Memi was appointed by Moshe Sharet, then the Israeli ministry of foreign affairs, to serve as the first officer in charge of this unit. Memi helped establish the unit, he accompanied supply convoys to Jerusalem while the city was besieged by the Arab armies, and as an observer with the UN he was active on other fronts as well. An IDF officer with the rank of major, Memi served with the intelligence branch that he helped organize, this being the first of a long series of intelligence related missions that he undertook. The next task was the founding of S.M 9, the IDF unit who was responsible with the relations between IDF and the foreign military attaches in Israel. The newly opened foreign embassies and diplomatic missions to Israel required the setting up of a special unit whose mission would be to maintain and develop relations with the foreign military attaches. Memi was elected to be the officer in charge of this unit; over the years he used to tell that the he had learned the nature of the job from the American military attache. In 1949 Memi joined the department of the Israeli foreign affairs ministry that later became the Mossad (The Institute for Intelligence and Special Operations). Given his experience and on the background of the nascent relations between USA and the newly born State of Israel, the foreign ministry Moshe Sharet and Reuven Shiloach, the first Director of the Mossad, decided to send Memi to Washington. His task was to establish the first official relations between the Israeli intelligence community and the Central Intelligence Agency (CIA). During this period he also served secretly as the first envoy of the Mossad to the USA. These were five years of varied and intense activity that brought about the development of the relations between the two intelligence organizations. Memi was in touch, among others, with James Angleton, then the director of the CIA counter-intelligence department. Their work relations soon turned into a long standing personal friendship that contributed to a great extent to the strengthening of the status of the Israeli intelligence community in the eyes of the CIA at a time when many in the American administration still doubted the benefits of the rapprochement towards Israel. 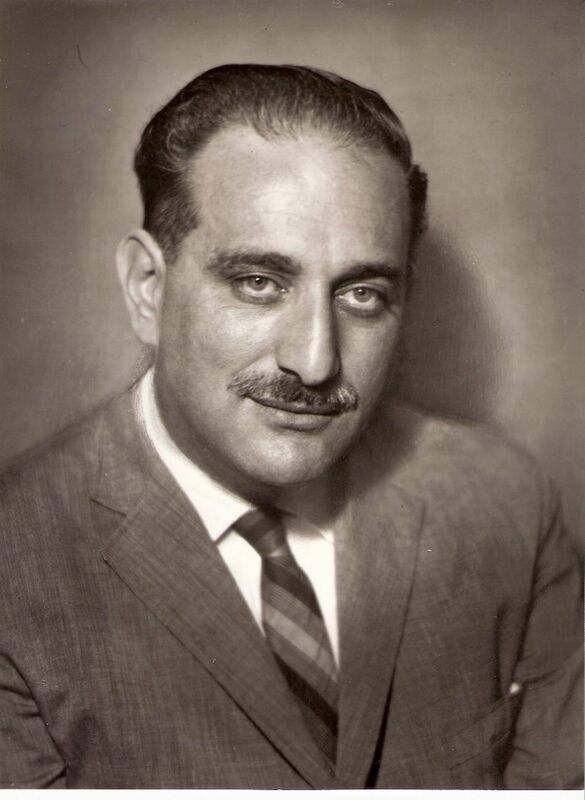 In 1954, after his return to Israel, Memi accepted Teddy Kollek’s offer and agreed to serve as Deputy General Director of Ministry of the Prime Minister. He served in this position for ten years that included varied and important activities. In 1964, Prime Minister Levy Eshkol decided to establish the Ministry of Tourism. Because of his rich experience and knowledge, Memi was appointed General Director of the newly established ministry and following his success in setting up this ministry, he became known as “Mr. Tourism”. This chapter in his life, like the previous ones, was full of intense activity, voyages to both devoted and developing countries during which he succeeded in conveying to foreign heads of state and investors his vision and faith in the tourist potential of Israel. Memi founded the infrastructure of the tourist industry of Israel, one that became a major element of the Israeli economy, especially by building hotels, developing the port city of Eilat as well as the region of the Dead Sea and the archaeological park of Caesarea, among other projects. Memi retired from the civil service in 1971 and dedicated himself to numerous activities as a volunteer. He was among the founders of the Weizmann Institute of Science, Beit Hatfutsot, the Rinat Choir, Elem – Youth in Distress in Israel organization, and many others institutions. Memi was a warm and pleasant person who loved to help other people. He continued his many activities until his last days. Memi De-Shalit passed away on February 4, 2007.